In 1965, Thomas Kane sold his funeral home to Gary Fetterly. At the time, Fetterly was a young entrepreneur. But he had a couple other things going for him. The first was a thorough understanding of the business through his own father, Hugh, who had owned two funeral homes in the Montreal area. And the younger Fetterly was also blessed with business savy. Well aware of the excellent reputation that Kane had established over many years, and fully committed to continuing that high level of service to the community, Fetterly simply added his own name to the company. And so, though Kane and Fetterly never actually worked together, the Kane & Fetterly Funeral Home was born. 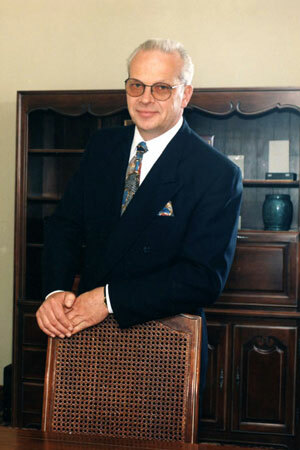 Fetterly made good on his commitment to offer the best possible service and quickly earned a reputation as one of the most respected funeral directors in Montreal. After a long illness he passed away in 1998. Today Kane & Fetterly is still locally owned and operated by the wife-and-husband team Bridget Fetterly and Paolo Bassi. Fetterly’s daughter Bridget joined the business in 1994 and today serves both as a funeral counsellor and company president. In 1997 her husband, Paolo Bassi, also entered the fold as administrator and marketing director. He now serves as director of operations. Together with their experienced, professional staff, they have maintained the highest standards of personal attention and professional care established by Thomas Kane and Gary Fetterly all those many years ago.